Emergencies can happen any time – that’s why having a stash of these 11 survival essentials for winter driving in your car is very important. These items could save you from a miserable, possibly even life threatening experience on the road. 1. Water. Store the water bottles inside a box or a bag so it will take a longer time to freeze. 2. Food. 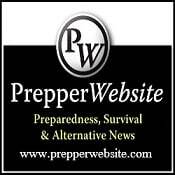 When picking out which type of food to store, look for MREs or other items which are high in protein like survival bars and jerky. This will provide you the needed energy if you have to hike to somewhere. 3. Fire starters. Any type of fire starter will do but if you opt to use matches, make sure to bring the waterproof variety. 4. Blankets. If you’re stuck on the side of the road in the winter, you need to stay warm. 5. Flares or reflective triangle. So that you or your vehicle are less likely to get hit at the side of the road in the dark. 6. Shovel. If you’re in a region where you car could get stuck in deep snow it would always be a good idea to bring a shovel whenever you decide to drive during winter. 7. Gloves. Always keep your hands warm with a good pair of gloves. You will need your hands to be in their best condition if you expect to be doing work out in the cold. 8. Light. Keep a good flashlight handy and make sure the batteries are charged or fresh. 9. First aid kit. Accidents happen, and you can’t just stand by and be helpless. Having a first aid kit will permit you to help yourself or your passengers before medical aid arrives. 10. Communications. You need to have a device with you to allow you to call for help in case you get stuck somewhere. So keep your cell phone or ham radio charged always and in the vehicle with you. 11. Spare tire, jack and tire iron. This is applicable ALL the time. Always have a spare and tools in the car in case of a flat tire. Winter will present a number of challenges for both you and your car so always be prepared for the cold. Before setting out, check your vehicle’s hoses, belts, spark plugs, fluid levels, tires, filters, etc. to make sure that everything is working well. 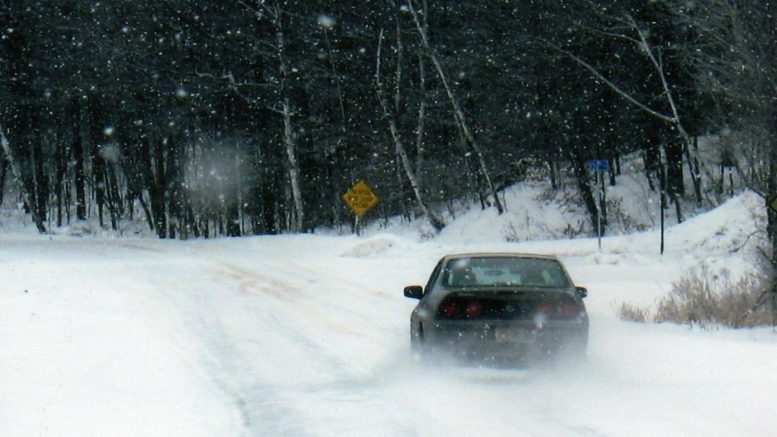 Practice extra control when driving on an icy road and if you do skid, stay calm. Keep it together if ever you find yourself in a situation where you are stranded and make use of the essential tools in your trunk. 2 Comments on "11 Survival Essentials For Winter Driving"
Re: #11 — Be honest with yourself: what is the age and condition of your spare tire? Is your spare even serviceable, or is it the one that went flat that you neglected to replace last time? If you don’t know for sure that it’s in really good shape, or even if you don’t know FOR SURE, what makes you think you can count on your spare tire to serve you any better than the damaged/flat tire you may be forced to change out? Until recently, the full-size “spare” I was carrying BENEATH my 2000 full-size pick-em-up truck (out of sight, out of mind) was the original spare, more than 16 years old…and though it was still partially (mostly) inflated, the sidewalls had clearly deteriorated (dried out and cracked) over the years, and it may not have lasted long on (or off) the road. Look, nobody likes to shell out the money for a brand new tire that, hopefully, will never be needed; but if you’re serious about keeping yourself and your family safe and about being prepared for the hazards of even everyday driving, let alone some SHTF event, it’s necessary insurance, and certainly part of the program. So be honest with yourself…do yourself a favor and check out the condition of your spare tire ASAP…and if, like myself, you are not satisfied (or horrified) by what you find, wait no longer to bite the bullet and replace your old spare tire with a new one. I have a 1998 Chevy pickup. Have never had a flat or worn out a set of tires but I have replaced them 4 times due to age. I always replace the spare when I do. Yes I replace all 5.